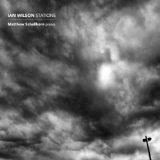 Today is the release date of a new work by the Ulster composer Ian Wilson, a 70-minute piano meditation on the Stations of the Cross, called 'Stations'. You can buy the CD direct from Diatribe Records here; Amazon will sell you the MP3 to dowload. My interest is first of all in the pianist chosen to perform the work, Matthew Schellhorn, who is also involved with music for the Traditional Mass: he organises and helps perform the polyphony for the Easter Triduum and Tenebrae in St Mary Moorfields. It is important and interesting that religious music is being written today by a range of composers. 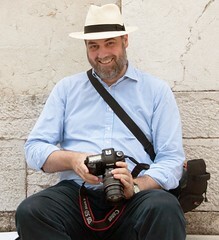 The Latin Mass Society has two - Colin Mawby and James MacMillan - as Patrons. Ian Wilson, a Protestant, makes another kind of contribution, in this unique piece. The CD will be launched during a concert on Tuesday 8 April at 7.30pm at St George’s Cathedral, Southwark, at which the Archbishop of Birmingham will give a series of meditations. This short documentary film gives more information, as does this article by Matthew himself. St John Paul II on the liturgy. Joseph Pearce coming to England! Bishop Schneider is coming to England!